Interesting question. But first we have to define some terms. What are these hollowpoints of which I speak? 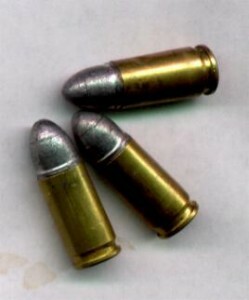 The picture above shows entire cartridges with lead bullets at the tip. 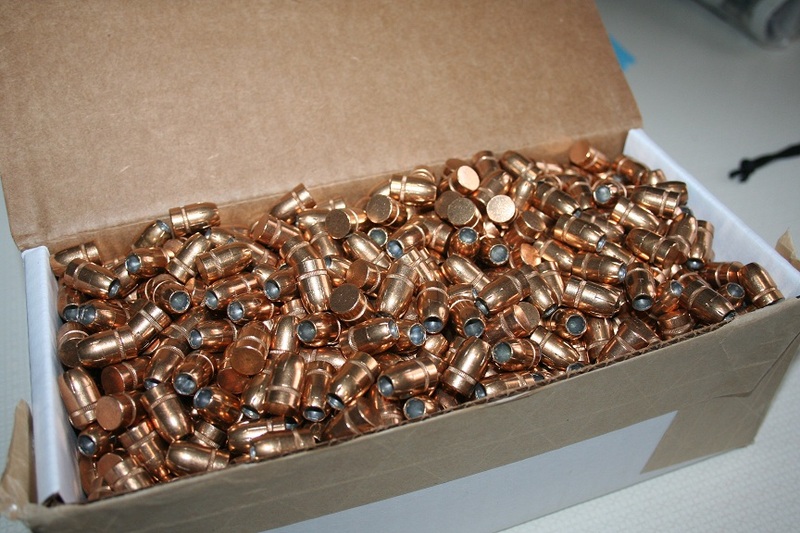 When I was reloading my own ammo, I would buy large boxes of copper jacketed bullets. They don’t look like little round balls, which can throw you a curve when people start talking about “ball ammo“. What they mean by that is just standard ammo, nothing special, totally boring stuff. Hollowpoint ammo use bullets that have the tip scooped out. There is one on the right in the picture below, standing next to a ball cartridge. You can also buy hollowpoint bullets in bulk in case you want to hand load your own defensive ammunition. Why would the manufacturers ruin a perfectly good bullet by leaving out the tip? The idea is that the bullet will expand when it strikes a soft and squishy object, like a violent criminal hellbent on taking innocent lives. This results in a bigger wound channel inside the criminal, so he bleeds faster, and the bullet will chew up more tissue. 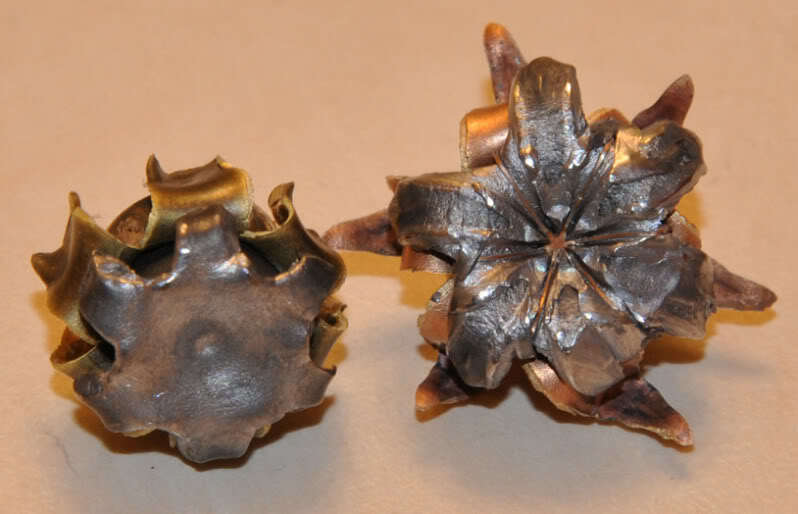 Most modern defensive ammo use hollowpoint bullets, and the bullets are designed to open up like a flower seeking the Sun. This extreme expansion has caused some people to conclude that hollowpoint bullets simply cannot overpenetrate. Once it enters a body, it stops immediately! 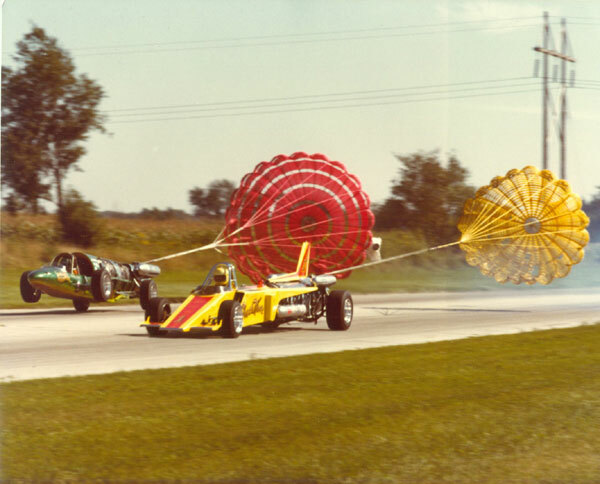 After all, isn’t that why dragsters use parachutes to stop? 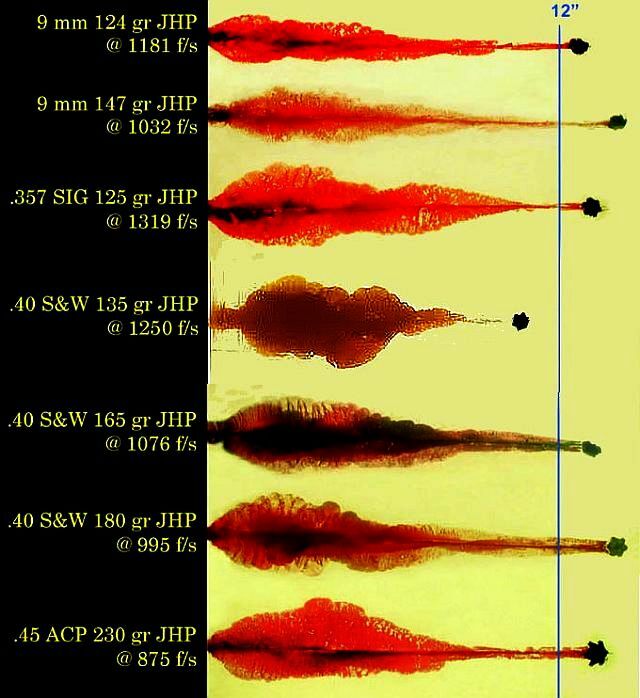 It is true that hollowpoints shed their velocity a great deal faster than standard bullets, but they still travel a fir distance inside the body. 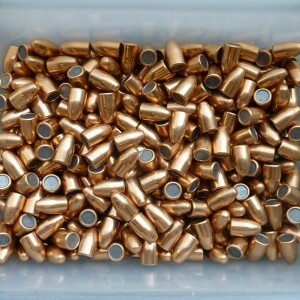 Below you will find a picture of some hollowpoints that were fired into ballistic gelatin, a substance formulated to mimic the density of animal tissue. Note how far they penetrated in inches. I was recently involved in an altercation with a maddened dog which attacked without warning. I hesitated to shoot the dog for the fear that my bullet would punch all the way through the chest of the canine, and still retain enough velocity to pose a danger to anyone further along its path. Considering that the dog only weighed about 65 pounds (30 kilos), and its chest was only about 7 inches at the widest, I am pretty sure that not shooting was the right decision. Does this mean that I would have hesitated if faced with a larger attacker, such as a human criminal? No one can say with any accuracy what they will or won’t do when confronted with a terrifying and dangerous situation, but I certainly hope I shoot to end the threat! Under no circmstances should you consider using ammunition you have manfactured for defenceive purposes. Should you use this ammunition to stop an attack by a person the prosecution in your trial will argue that you made such ammo with “malice aforethought”. Can you point to an actual case where this has happened, or are you relying on internet wisdom? 20 years ago Mas Ayoob was saying this in his classes, that you will be vilified for not using factory ammo. He claims to have faced that argument in court. From the little I know lawyers present their ‘version of reality’ and attempt to sell it to the jury. If using the claim you used under powered (as compared to factory) reloaded ammo ’cause you wanted the person to suffer more to get the jury to believe their story, they will. 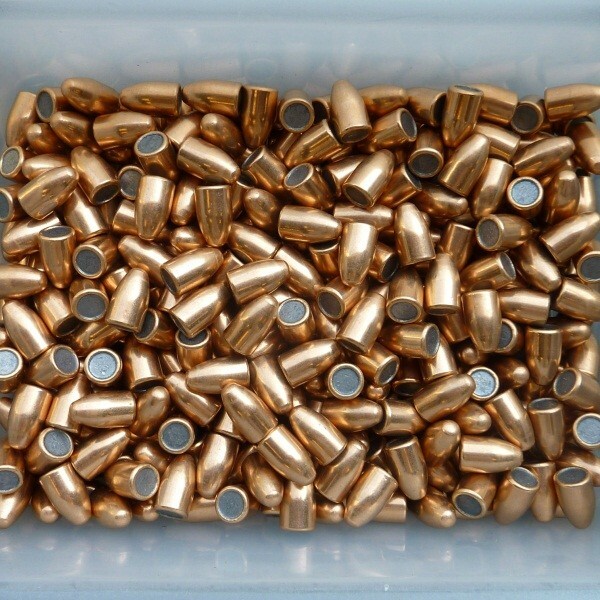 With factory ammo, there is the possibility the manufacturer will provide expert witness testimony that your lot of their ammo is no different than what the rest of the nation uses, and not excessive force. Looking at your picture of the FMJ versus the Hollowpoint, one thing that strikes me is that the hollowpoint has less metal, less mass. Does that mean higher muzzle velocity? The same? 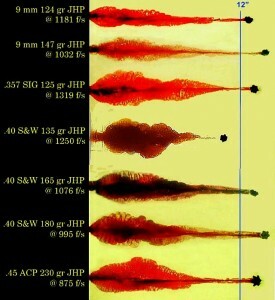 Does it have less kinetic energy than an FMJ assuming equal powder loads? 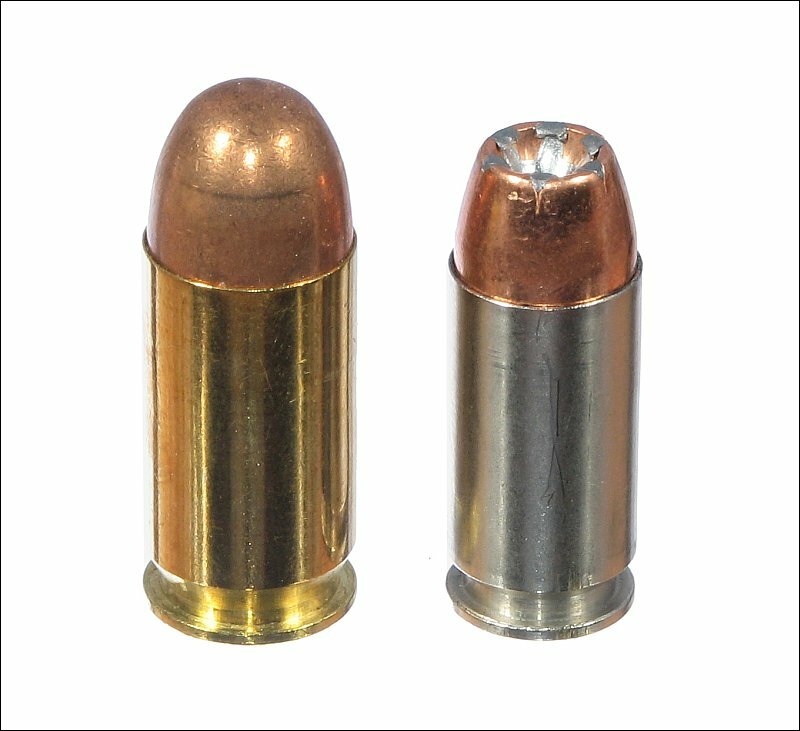 124 grain ball ammo and 124 grain hollow-point ammo have the exact same mass. Hollow-points are normally used for defensive purposes, to prevent damage to others who may be behind your assailant. As a hollow-point expands on entry, it looses velocity rapidly, but causes more tissue damage due to its increased breadth, and its propensity to tumble. I would expect the HP to be lighter, so more muzzle velocity. Energy rises withe the square of the velocity, and linearly with the mass, so I’m guessing (without valid numbers to play with) the HP will have more energy at the target. Repeating, this is a guess; your energy may vary. Kirk beat me to it. 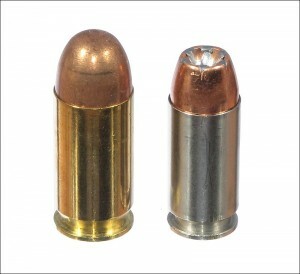 The bullet manufacturers get hollowpoint bullets to weigh the same as standard by making them a teensy bit longer, so the back end sticks a bit further down the case.